Hollywood Studios is known for its long list of Broadway-esque renditions of popular Disney movies. Beauty and the Beast, an installment on Sunset Boulevard since 1991, ranks among one of the most popular, well-done shows at the park. The story follows Belle, a young French girl, who loves to read. After her father is captured by the Beast, formerly Prince Adam transformed by an Enchantress, Belle trades places with him. She stays in the castle as prisoner and makes friends with the furniture, but still wishes to be free of the Beast. Over time, though, the Beast’s anger subsides. He grows to like Belle and she him. They become companions, earning each other’s respect through kindness and compassion. All goes well until Gaston, the village pretty-boy, attacks the castle looking to kill the Beast and marry Belle himself. Little does he know the lengths the Beast will go to in order to protect Belle. The Beauty and the Beast stage show features all seven songs present in the film, though condensed to fit into a 25-minute show. The arrangement is out of order, but the general idea of the story’s progression makes sense. The first three songs are combined in a medley. “Be Our Guest” is easily the longest number and the one with the most choreography. 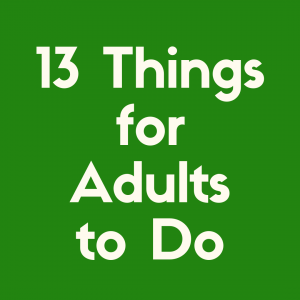 It’s sure to keep everyone in your family engaged and smiling. It opens with the same tale of how Prince Adam turns into the Beast as in the film but uses interpretative dance to convey the emotions of the characters rather than purely acting them out. It’s an interesting beginning to the show and sets the stage, so to speak, for what’s to come. You shouldn’t go into this show expecting to see the rest of the film in its entirety acted out on stage. The plot is shortened to account for the amount of shows the cast performs on any given day—six from 11:00 am to 6:00 pm. It’s a high energy show with few moments to rest as a viewer. You really need to be paying attention for the entire 25 minutes. Look away once, and you’re lost in the medley of “Belle” and “Gaston.” However, you probably won’t want to focus on anything else; the show keeps you engaged with the inclusion of new voices and familiar ones. Don’t be shocked to see lip-syncing from the ensemble. They do perform six times a day, after all. 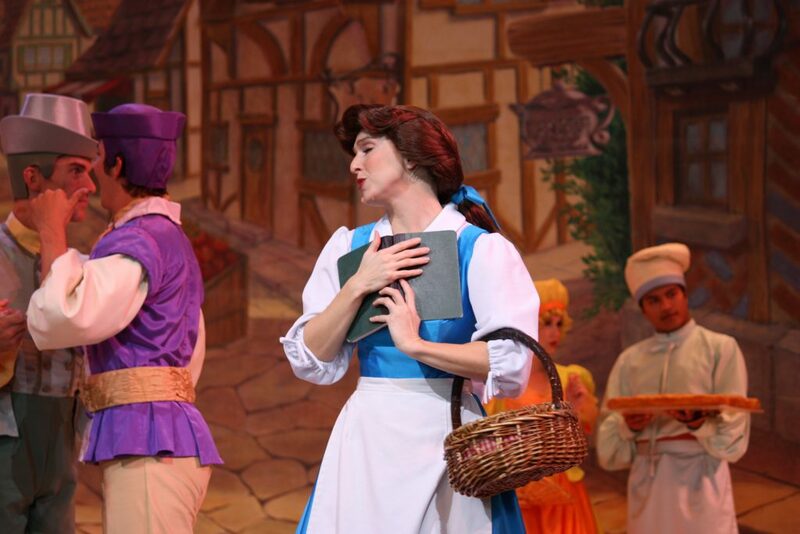 Belle sings live, as does Gaston, which is enough to keep the magic alive. A fun inclusion to the show lies in the minor characters. The voices of Lumiere, Cogsworth, and Mrs. Potts, and the Beast come straight from the film, adding a sense of familiarity to the fresh, fast-paced stage show. 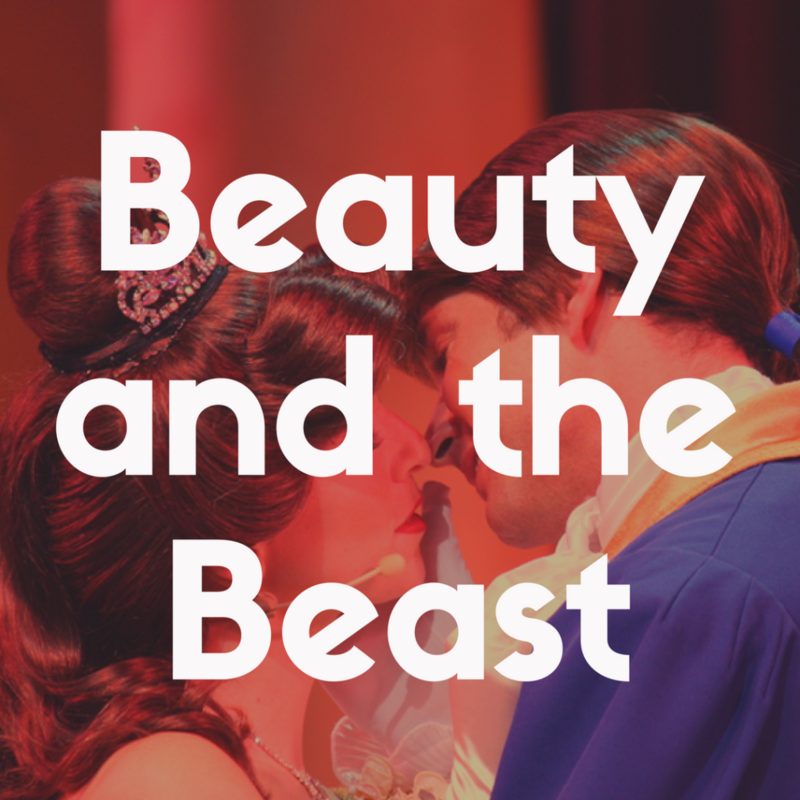 Because of the increased popularity in Beauty and the Beast over the last two years following the release of the live action film in 2017, the stage show has become a hotspot for families. It has always been a popular attraction at Hollywood Studios, but the crowds have grown larger. The show runs at 11:00 am, 1:00 pm, 2:00 pm, 4:00 pm, 5:00 pm, and 6:00 pm. Most people rush to the first show of the day because of it’s length. 25 minutes goes a long way in Disney. The performance days can vary, so be sure to double-check if you don’t want to miss out on the experience. It’s best to arrive at the Theatre of Stars about 30 minutes before the show starts to get a seat in the covered area of the theatre. The show is outside, so any seat is a good one, but if you’re prone to sunburn or heat-related distress, you should make sure to get there early so you can ensure a seat in the shade. The benches aren’t padded, either, so if you’d like to sit more comfortably, it may be a good idea to bring a small cushion or blanket to sit on. The whole seating area is wheelchair accessible. There are also accommodations for the hearing impaired. The crowds thin out the later you go in the day. Depending on the rest of your schedule, it may be a good idea to fit the show around lunch or dinner. There are plenty of places to eat at Hollywood Studios, and you’re sure to find something everyone in your group enjoys. Most of the restaurants center around all-American diners, so there are a lot of burgers and milkshakes. A FastPass+ is available for the show, and it may be worth your time to invest in one to get your hands on a shady seat. As far as Disney World wait times go, the lines may start long, but they won’t stay that way. Instead, you will be using the FastPass+ to ensure your seat in the shade. If you’ve got young children or seniors with you, a seat in the shade will enhance your comfort tremendously. Even though the show is less than a half an hour long, 25 minutes in direct sunlight will get you sweaty and burnt if you don’t bring an umbrella or hats. 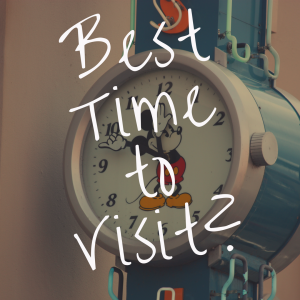 Plus, a FastPass+ allows you to get to the show right closer to the start time. If you want to extend your lunch or dinner with an ice cream, you’re able to do so without giving up your seat in the shade. Another potential pitfall of the show being outside is that it may experience cancellations depending on the weather. Be sure to check the weather and the show times on Disney’s website to predict when you should try to see the show. The show is geared toward all ages, but you will mostly come across families with small children. It may be best to let your teen go off on their own while you and the little ones watch the show. It is an exciting performance, and if your teen is invested in stage shows or Beauty and the Beast, then bring them along. But if they prefer more adrenaline-pumping activities—like the Rockin’ Roller Coaster or Tower of Terror—they may find the show to be a bit of a bore. The show is obviously geared toward families looking to rest after a long day walking the park. 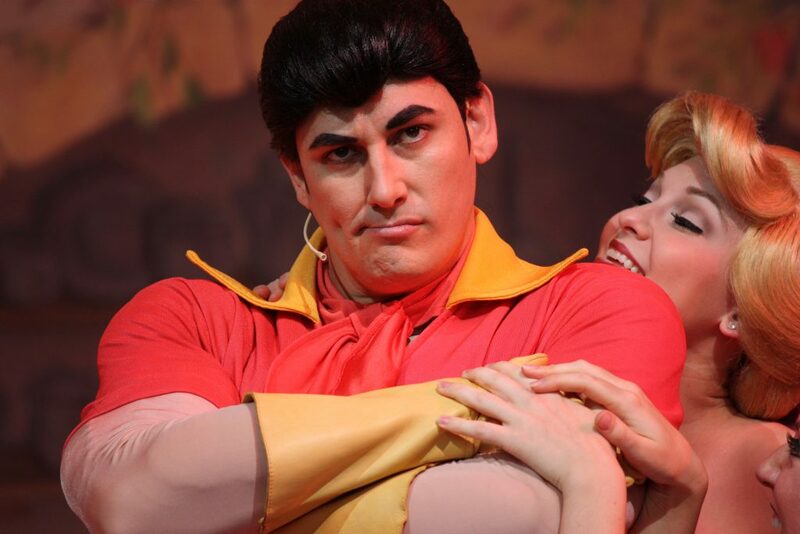 Most of the show will not frighten even the most nervous kids; the only moments that may cause stress occur near the end of the show when Gaston and the Beast are in their final battle. Of course, the Beast lets out some mighty roars, but nothing so scary that you would need to leave the show. As a parent, you’ll find the show enjoyable, too. It’s a refreshing version of the film with plenty of nostalgia. You’re sure to appreciate the inclusion of the original voice actors for some of the characters as well as the new choreography for musical numbers. “Be Our Guest” is a wonderful moment in the show, capturing the magic of the original film while bringing a fresh energy to the stage. All in all, you and the whole family will enjoy the show. Water. Always bring water to Disney World. It is far too hot not to invest in a large water bottle and bring it with you to have ready at a moment’s notice. Sunscreen. This is another given. Bring a strong sunscreen with you and top up on it throughout the day. Most sunscreens last about two to three hours, so put on some more when you reach the two and half hour mark. An umbrella. Umbrellas aren’t just good for the rain. They provide great shelter from the sun, too. Obviously, if you get a seat in the shade, this item won’t be necessary, but there is no guarantee that you will be shielded from the sun unless you get a FastPass+, so it’s best to be prepared. A backpack. 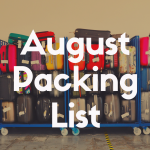 You’re going to need something to hold your sun protection and water, so it’s always a good idea to bring a backpack or tote bag with you. Snacks. You’ll be sitting in the theatre for a bit, so why not take advantage of the down time to boost your energy? Some fruit or granola bars to snack on during the performance will help you refresh for when you leave the show and reenter the bustling atmosphere of the park. 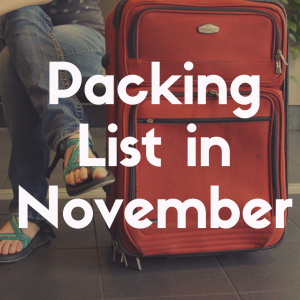 Of course, what you bring to any of the parks will follow this general list. Disney is good about that. What you bring to one park translates well to another, so you don’t need to continuously purchase or pack items you’ll use once, then never touch again. As long as you make sure to keep yourself protected from the sun, you’ll have a great experience watching the show. Is This a Worthwhile Show to See? The short answer? Yes! 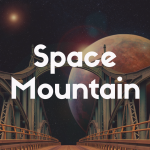 It is a fun, uplifting show that not only provides you the experience of watching one of Disney’s most beloved classics live, but one that allows you to sit back and relax. 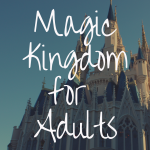 If you’re going to Disney World on a budget, this show is perfect for you; there is no additional cost to get in, and you are free to leave at no expense to you if the show isn’t what you were expecting. The Beauty and the Beast stage show will not take up too much of your day, but you will thoroughly enjoy the time you spend watching it. Further still, the show represents a major part of Disney’s history. It was launched the same day the animated film released in November 1991. Since then, it has remained a staple for families everywhere. It’s certainly worth the fame it garners, too. The actors perfectly fit the personas of their characters; you’ll be reminded of the original film in every movement made, every line sung, and every magical moment experienced. The only parts of the show that could have been improved upon were the scene shifts. Because the show is so fast-paced, a large portion of the plot is cut. That is understandable. In fact, it’s necessary. You can’t just take the movie and put it on stage word for word. Not only would that be an excruciatingly long time to sit on a bench in the sun, it wouldn’t be entertaining. 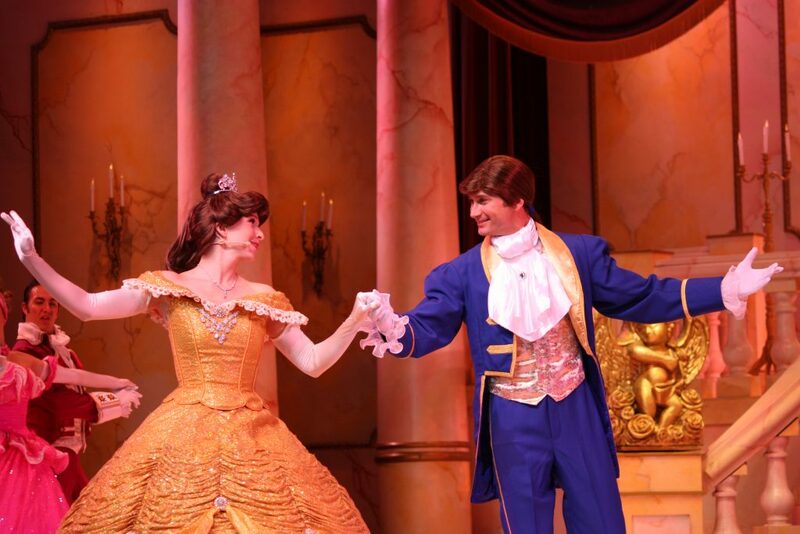 The point of the stage show is to bring nostalgic feelings about the movie to the surface for the adults in audience, and to allow the kids to experience Beauty and the Beast in a way they haven’t it seen before. However, the scene changes feel awkward when compared to the smooth song transitions. This isn’t something that make the show unwatchable. Most will not even notice it. It’s merely a side effect of condensing an hour and a half long film into a 25-minute stage show. Overall, it’s an experience you won’t want to miss out on. You and your family will remember this show for years to come.